Maybe the bookmakers don’t know what it is going to happen after all. This is the second game in a row that the sportsbooks have called wrongly, and on a massive scale. When the Heat put all of the A/C problems behind them and strode a big win in San Antonio, many felt it was a huge turning point in the 2014 NBA Finals. It may still be a big win in how it all unfolds but you have to think that the Spurs have delivered their own massive win in Game 3. Yes, the Spurs made their way to Miami and absolutely blitzed the Heat with a 111 – 92 victory. The key to the statistics came with the amazing start that Spurs delivered. The first quarter score was 41-25, making the Spurs the first team to gab 40 points in a quarter since the Boston Celtics in 2008. The early dominance came with the fact that the Spurs were scarily consistent when shooting. The team opened up by making 19 of their first 21 shots and in the first quarter, they held a 86% rate for shots. Another factor in their dominance came from the fact that when Tim Duncan missed his shot with 5 minutes and 5 seconds left of the opening quarter; the Spurs never missed another shot until Tony Parker skewed a three-point shot wide with 6 minutes and 45 seconds left, of the second quarter. It should be pointed out that Heat weren’t too bad, LeBron James and Dwyane Wade both clocked up 22 points in the game, and it’s just that Spurs were on top in every aspect. Kawhi Leonard grabbed 29 points during the game and it is the Spurs that hold a 2-1 lead going into the fourth game. If Heat bounce back and tie the series at 2-2, it’s a score line that many would have predicted going into the final three games. 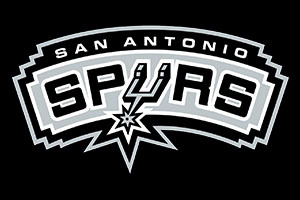 With San Antonio having two of the final three games at home, they are very much in the driving seat from here on it and if they can triumph in Miami again on Thursday they will stand on the brink of success. As we’ve seen already in the first 3 games of the series though, you can’t take anything for granted when it comes to predicting how these games are going to pan out. At one point, the Heat trailed by 25 points but battled back to reduce that to a single figure deficit but they couldn’t cut the gap any further, with Spurs extending it in the final quarter. The Heat will once again be looking to continue their record of having never lost back to back games in the post-season games since the Celtics defeated them twice. This took place back in 2012 and so far spans a run of 47 games. The Heat may be able to keep this record alive but it may not be enough to drive them to success in the series. The Heat may have that history on his side but there is the feeling that Spurs are keen to correct a wrong from last year when many people felt they threw away the title, especially in Game 6. Kawhi Leonard was one of the players who was criticised for that loss, he missed a free-throw in the last minute of that game, but his performance in Game 3 indicates he is ready to make amends in 2014. Bwin are giving you odds of 1.47 for the Heat and 2.75 for San Antonio in Game 4 and if you are looking for who will win the 2014 NBA Finals outright, Bet365 will give you a price of 1.41 for Spurs and 3.00 for Miami.